SnatchBot is an Israel-based privately-funded company with more than ten full-time employees. It was founded in January of 2015 with the goal of expanding the accessibility of chatbots and making bot-building easy for anyone in any application. Based in the heart of the “start-up nation,” Herzlia Pituach, SnatchBot provides access for free around the world to sophisticated, natural-language conversational bots (“chatbots”) with highly engaging user experiences and lifelike conversational interactions across all communication channels. SnatchBot was born in the 2015 with the goal to make bot-building easy for anyone. Based in the heart of the Start Up Nation, in Herzliya Pituach, We believe in the power of chatbots to strengthen your connection to your audience — whether that's your customers, readers, fans, or others, we're committed to making that as easy as we can. As a result, countless brands, startups, and investors came to us for help navigating the chatbot world. Do we need a bot? Who should we work with to build a bot? What features should our bot have? We realized that everyone from musicians to teachers to big brands needed a simple platform that could create feature-rich bots in minutes, all without any programming. 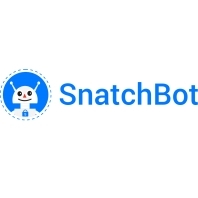 So, We have created the SnatchBot platform. Snatchbot helps bussinesses and developers around the world build and monetize deep learning chatbots by providing free access to a proprietary bot builder platform, so all of you can save money, enhance customer service or reputation and increase sales.